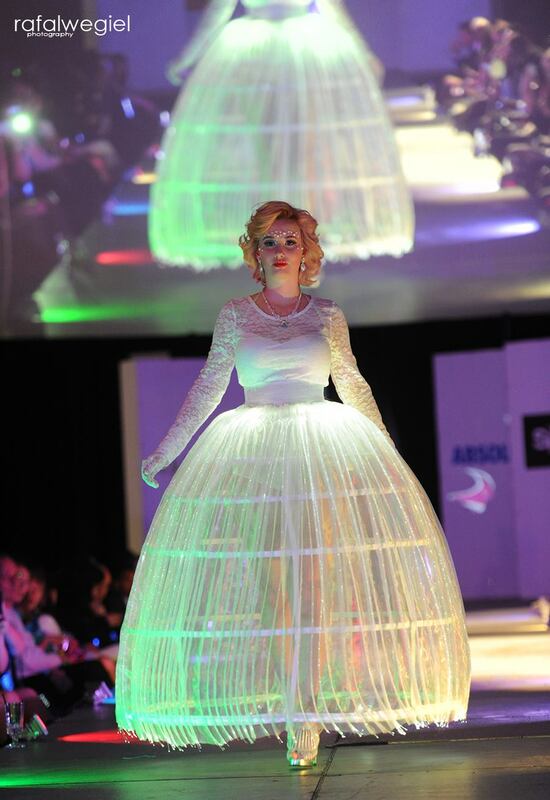 Hutterite wedding dress with animated lights. In a one month artists residency at Seeed Studios in Shenzhen, China, I created these muscle display pants. They read the EMG activity of the leg muscles and display as a light output. Calgary is one of the most active wearable tech fashion scenes in the world, and the pinnacle of it is at the annual MakeFashion Show for which I have created two wedding-esque dresses. My design partners are Catherine Hazin, Dianne Gibson and Dan Damron. The making of the biomimetic bride dress.